Isn't it rewarding to use the crockpot? On your drive home from work, you're thinking, "oh my, what am I going to do to feed this hungry crew," and then you remember, "I have dinner in the crockpot!" 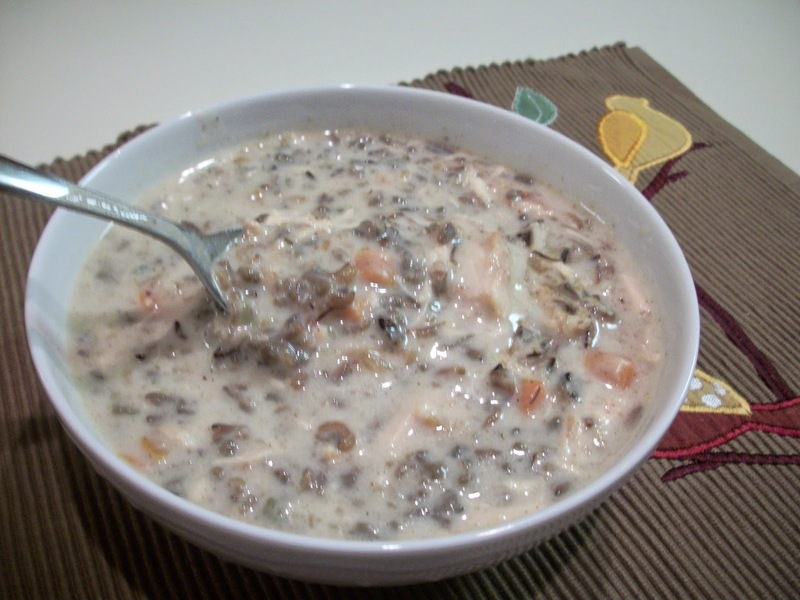 It's nearly zero degrees fahrenheit here today, so soups like these are a great way to say "welcome home." Find more great recipes at Inspiration Monday, Mix it Up, Melt in Your Mouth, Totally Talented, Create Link Inspire, Clever Chicks, Tasty Tuesday. Rinse the wild rice. 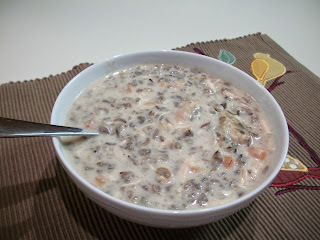 Place the uncooked wild rice, raw chicken, carrots, celery, onion, chicken broth, and poultry seasoning in a crockpot. Cover and cook on low for 7-8 hours. The chicken should be cooked through and the rice should be soft. Do not drain any remaining liquid. Remove the chicken breasts from the crockpot and allow to cool slightly. Shred the chicken then return it to the crockpot. When rice and chicken are done cooking, melt the butter in a saucepan. Whisk in the flour and let the mixture bubble for 1 minute. Slowly whisk in the milk until a thick, creamy mixture forms. Add this to the rice and chicken in the crockpot and stir to combine. Add extra water or milk to adjust the consistency as you like it. Season with additional salt and pepper. Soup recipes in the crockpot are my favorite, and this one looks amazing! Thank you so much for linking up at Tasty Tuesday! Your recipe has been pinned to the Tasty Tuesday Pinterest board! Please join us again this week!